NEW: Lawyer for Jackson physician says report reveals "nothing new"
LOS ANGELES, California (CNN) -- The Los Angeles County coroner has ruled that Michael Jackson's death was a homicide involving a combination of drugs. Michael Jackson was found dead on June 25. He had been preparing for a comeback concert series in London. "The drugs propofol and lorazepam were found to be the primary drugs responsible for Mr. Jackson's death," said a news release issued Friday by the coroner. "Other drugs detected were: midazolam, diazepam, lidocaine and ephedrine." The release said Jackson died from "acute propofol intoxication," but said "other conditions contributing to death: benzodiazepine effect." Lorazepam, midazolam and diazepam are benzodiazepines. A lawyer for Jackson's personal physician criticized the coroner for releasing only a brief summary of his findings, saying it contained "nothing new" and had "all the earmarks of police gamesmanship." Michael Jackson's family issued a statement in reaction: "The Jackson family again wishes to commend the actions of the Coroner, the LAPD and other law enforcement agencies, and looks forward to the day that justice can be served." The Los Angeles Police Department, which has been conducting a criminal investigation of Jackson's death, requested at an interagency meeting last week that federal and state agencies pursue their own investigations, according to statements issued Friday by California's attorney general and the Drug Enforcement Administration. 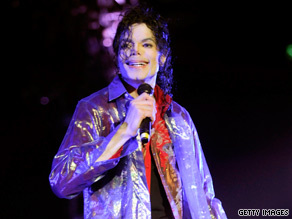 Dr. Conrad Murray, Jackson's personal physician, told investigators that he had given Jackson three anti-anxiety drugs -- lorazepam, midazolam and diazepam -- in an effort to help him sleep in the hours before he stopped breathing, according to a police affidavit made public earlier this week. Murray also told detectives he administered a dosage of the anesthetic propofol, diluted with lidocaine, to Jackson a short time before he stopped breathing, the affidavit said. The 32-page sworn statement was written by Los Angeles Police detective Orlando Martinez to outline probable cause for warrants to search Murray's offices, home and storage rooms in Texas and Nevada. Murray told detectives he had been treating Jackson for insomnia for six weeks, giving him 50 milligrams of propofol, the generic name for Diprivan, diluted with the anesthetic lidocaine every night via an intravenous drip, the affidavit said. Worried that Jackson might become addicted to the drug, Murray said he tried to wean Jackson from it, putting together combinations of other drugs that succeeded in helping him sleep during the two nights before his death. • About 1:30 a.m., Murray gave Jackson 10 mg of Valium (diazepam). • About 2 a.m., he injected Jackson with 2 mg of the antianxiety drug Ativan (lorazepam). • About 3 a.m., Murray then administered 2 mg of the sedative Versed (midazolam). • About 5 a.m., he administered another 2 mg of Ativan. • About 7:30 a.m., Murray gave Jackson yet another 2 mg of Versed while monitoring him with a device that measures the oxygen saturation of his blood. • About 10:40 a.m., "after repeated demands/requests from Jackson," Murray administered 25 mg of propofol, the document said. "Jackson finally went to sleep and Murray stated that he remained monitoring him. After approximately 10 minutes, Murray stated he left Jackson's side to go to the restroom and relieve himself. Murray stated he was out of the room for about two minutes maximum. Upon his return, Murray noticed that Jackson was no longer breathing." Efforts at CPR proved fruitless. Jackson was pronounced dead at UCLA Medical Center at 2:26 p.m. Earlier this week, Murray's lawyer disputed the final section of the timeline. "Dr. Murray simply never told investigators that he found Michael Jackson at 11 a.m. not breathing," Chernoff said. "He also never said that he waited a mere 10 minutes before leaving to make several phone calls. In fact, Dr. Murray never said that he left Michael Jackson's room to make phone calls at all." In Friday, Chernoff criticized the coroner's office for making the "contains nothing new." "For two months we have been hearing the same information, usually from leaks out of the coroner's office," Chernoff said. "One has to wonder why the coroner felt compelled to release anything at all if the police investigation is not yet complete." Agents from the California attorney general's office also will investigate physicians whose names have come up in the course of the Jackson death probe, Attorney General Jerry Brown said. The federal drug administration also responded with its own independent investigations "into matters that the LAPD's investigation uncovered that may not be directly related to the cause of death," the agency said. Last week Drug Enforcement agents executed a federal administrative search warrant at the Mickey Fine Pharmacy in Beverly Hills, California, looking for prescription records relating to Jackson, an agency spokesman said. The pharmacy sits directly below the offices of Jackson's dermatologist, Dr. Arnold Klein. Shortly before his death, Jackson visited the building several times to see Klein. Klein, who treated Jackson for decades, denied in a CNN interview last month that he had given Jackson dangerous drugs. Attorney General Brown said that agents with his Bureau of Narcotic Enforcement "will review relevant records and documents." The attorney general's office maintains a computerized prescription drug monitoring system that tracks controlled substances.